Margaret Dunning started driving when she was 8 years old. Ninety-four years later, she’s still behind the wheel. 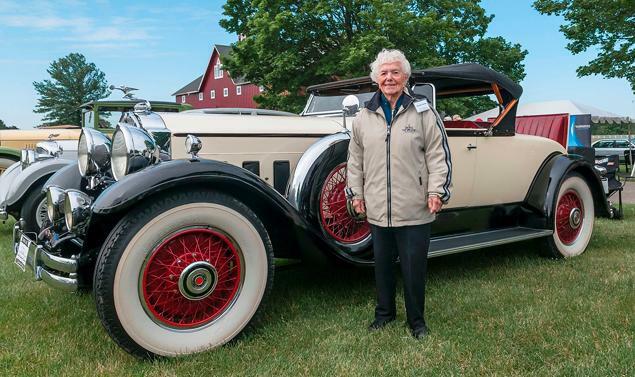 The 102-year-old, who has continued exhibiting her Packard 740 Roadster well into her second century, drove fans wild this week at Ohio’s Glenmoor Gathering of Significant Automobiles in Canton. 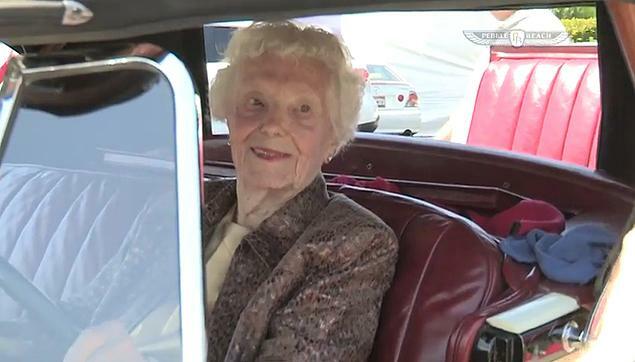 Margaret Dunning, 102, of Plymouth, Mich. in her 1930 Packard 740 Roadster. “People were blown away to find a lady who’s 102-years-old who is as active as she is,” David Schultz, the Gathering’s organizer, told the Daily News. Schultz first met Dunning, who he called a sharp, independent sort, when he was a “college punk” in 1964. At that time, Dunning had already been driving for more than four decades. She started on her family’s potato and dairy farm in order to help her father with his chores. She crashed for the first time as a 10-year-old, breaking a board in her barn. The crash didn’t deter her from driving, a hobby that gave her a special connection with her father. When he died two years later, Dunning was given her first driver’s license — at age 12. Her mother couldn’t drive, and was able to get her daughter the document through political connections. Ms. Dunning, in her 1930 Packard 740 Roadster. 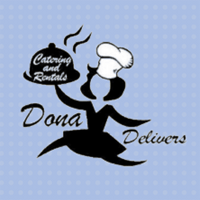 To this day, Dunning still changes her own oil and spark plugs, and isn’t afraid to drive fast. “It disturbs the policemen very badly, but it doesn’t bother me at all,” she said. Describing Packard cars as very artistic, Dunning said she is a devotee to the car line. “My family drove Packards, and I was very proud of the fact. I guess I got indoctrinated,” she said. These days, Dunning continues to drive her Packard, but the big steering wheel has turned into something of an obstacle. She now uses a 2003 Cadillac for her everyday driving. Aside from her love of classic cars, Dunning has become a philanthropist in her town, and built a library to honor her mother and donated over $1 million to the Plymouth Historical Museum. “My mother kept telling me what a beautiful old world this is, and as I gain a few years, I realize what she was talking about, because each year I see more beauty in the things that I observe,” she said.